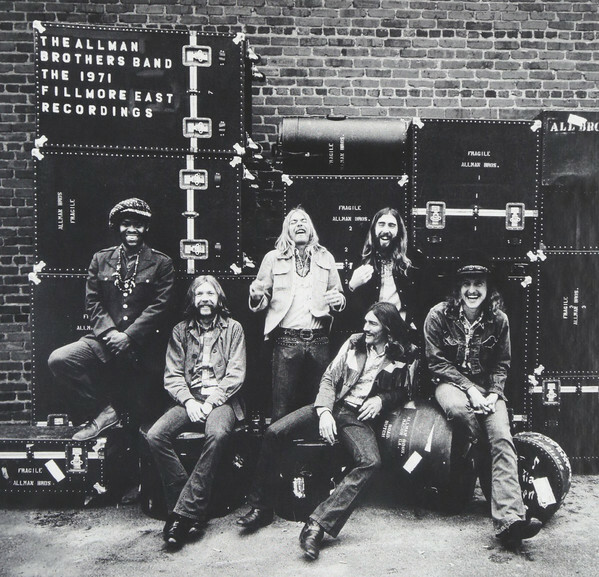 Allman Brothers Live at Fillmore East fell in my second tier. It's one of the most reissued albums out there, and for good reason, it's so good it's easy to wear out copies. There have been original CDs, versions from various countries, a 2 CD Fillmore Concerts release that mixed up stuff fairly bafflingly, a Deluxe Edition, an SACD, probably an MFSL, and just when you think they couldn't milk the cow anymore, finally we get a 6 CD version with many of the full shows. I waited a while but eventually grabbed the Blu Ray version of this and kept the Deluxe Edition on CD. Based on the once through of this set, I'd say only the first show on March 12 isn't a stone classic and even then it barely falls short. For rock, southern rock, jam band or whatever you would call it, these are some of the few truly peak moments of the era, a watermark of great chemistry, guitar work outs and a nice jazzy approach to the blues. When something is this good, it becomes difficult to describe the emotional impact such music has and so many times the Allmans manage to bring out an intensity that could only be transmitted by song. Also there are 80 minutes of "Whipping Posts" here and over an hour of "Elizabeth Reeds." If you have Amazon Prime the whole thing is available to stream.